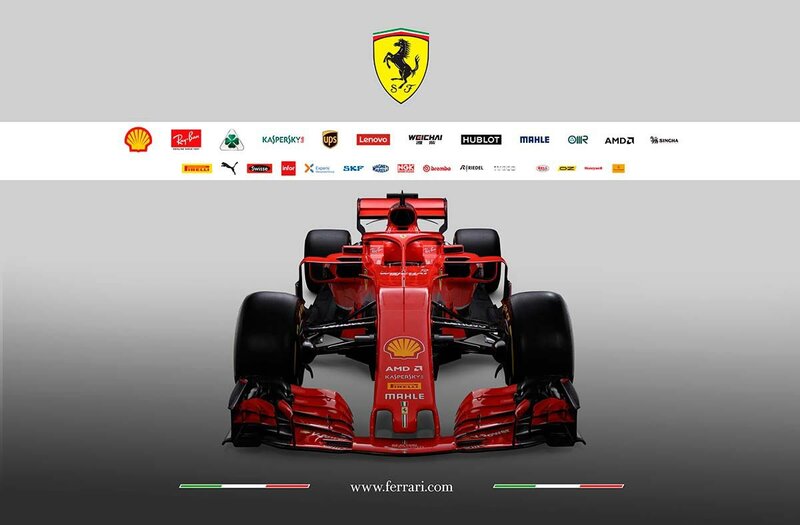 Why isn’t the Ferrari shield on the engine cover?! It’s so bare?! They could have had any shape in the world for that, but it looks like the Marlboro triangle and box to me. Ferrari and Marlboro don't do coincidence. The shape was there even in the last year's car.. let's consider it as that serves both as an ad and to display the number.. It's the number of the driver. 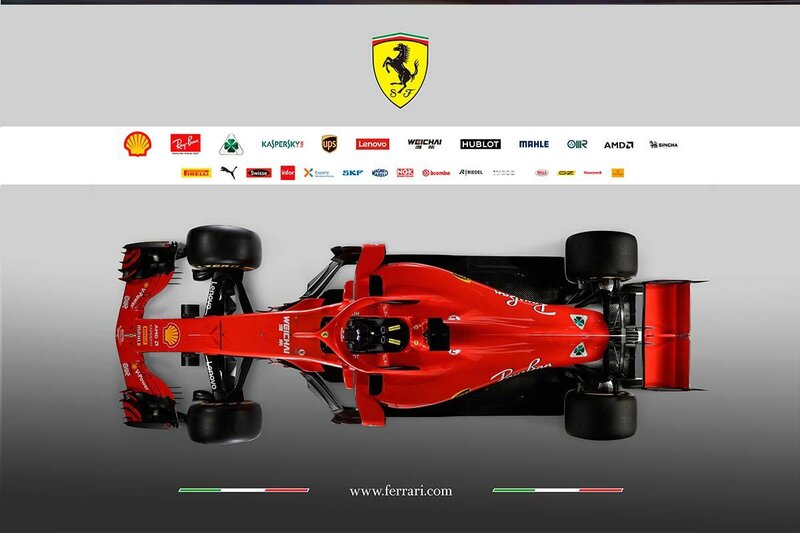 Alot of real-estate on the engine cover which IMO looks to be where the Scuderia Ferrari red and white flag will go with the S/F yellow shield and IQOS. We may see this at testing or Melbourne for said logo's. 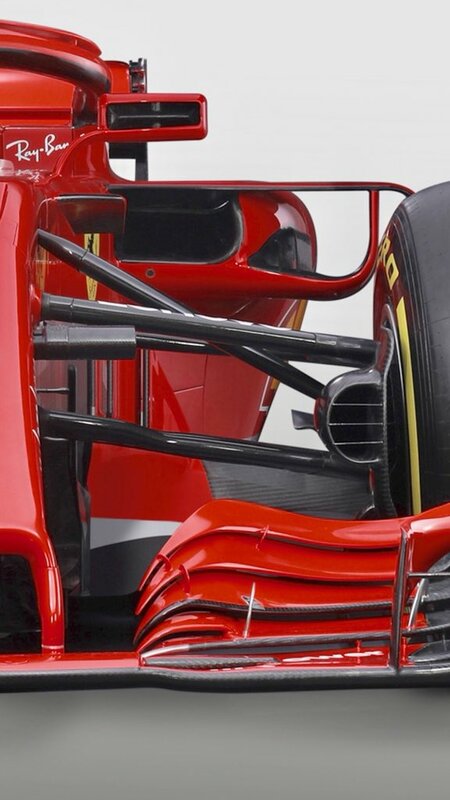 Space in the rear wing too.. without the stickers looks so bare..
NOW THIS IS INTERESTING!!!! !.....can't say I have seen this before. I'm sure we will be hearing more about this. 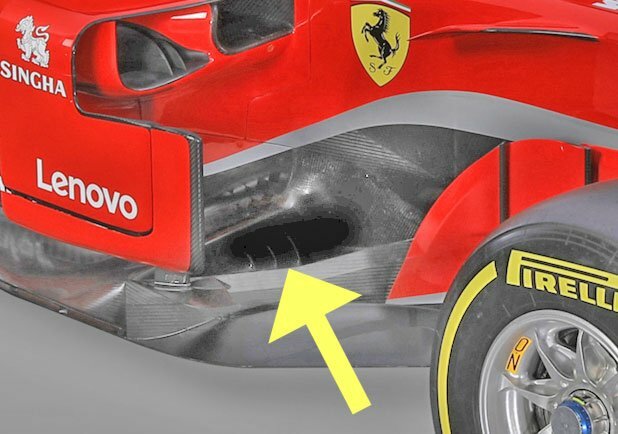 My guess, get some or most of the Y250 vortex to channel it underneath the car to create more high pressure (faster moving air) to suction the car more to the ground. It's just a guess. I meant to say IQOS needs to go somewhere but NOT on the cover. Your suggestion on the rear wing is what I was thinking and also the front wings on all those 'MACH 3 Turbo" wing elements. maybe the regs have changed. IDK. Does anyone have any links to some super high rez pics of the new car? Finally a team has come out with something substantial. The body work is very sloped like the RedBull has been doing for the past couple years. 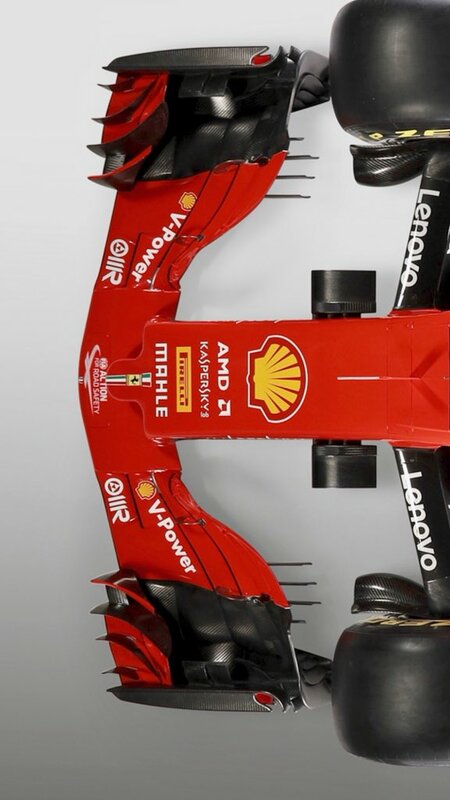 Front wing has a bundle of elements and seems much more complex. 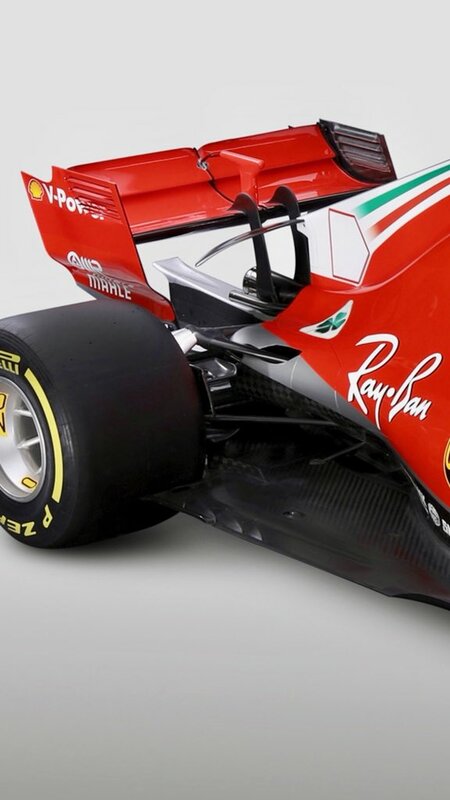 The sidepod inlets are TINY, hoping there is no cooling issues. The mirrors are very innovative. Looks like a lot of work went into the bargeboard area, which seems to be an important zone as a lot of teams went with longer wheelbases to maximize aero benefits in this area. I personally think it's too much red, and I don't like the name. But very excited to see how it performs. The car is beautiful! You can tell how much work and thought went into this. Let's hope she's fast and reliable!! And I must say, the halo doesn't look bad on our car! 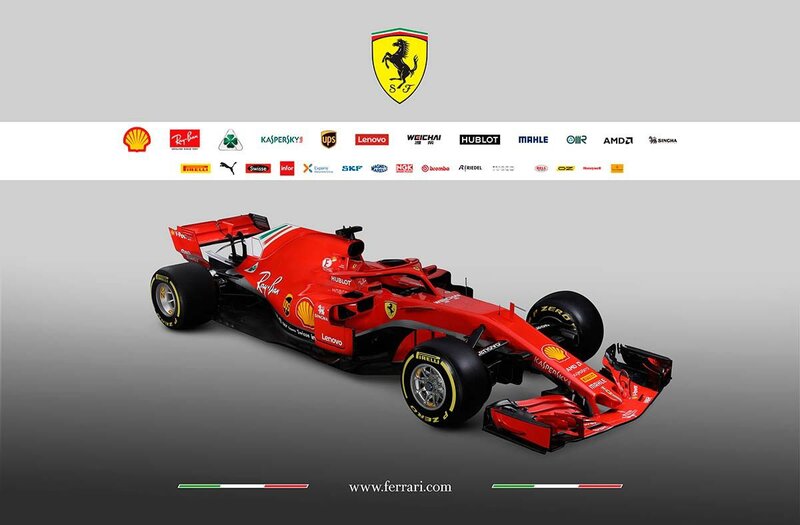 SF71-H is quite a looker and it's great to see some more innovation, the red halo is a nice touch but it's still an eyesore, and there is just a little too much red, it needs some black or even a little white to break it up, but the sponsor stuff should do that...oh, and gold wheels would have been nice! Can't wait to see how it performs. Few years ago people complained our car wasn’t red enough, now it’s basically all red people want white/black again! 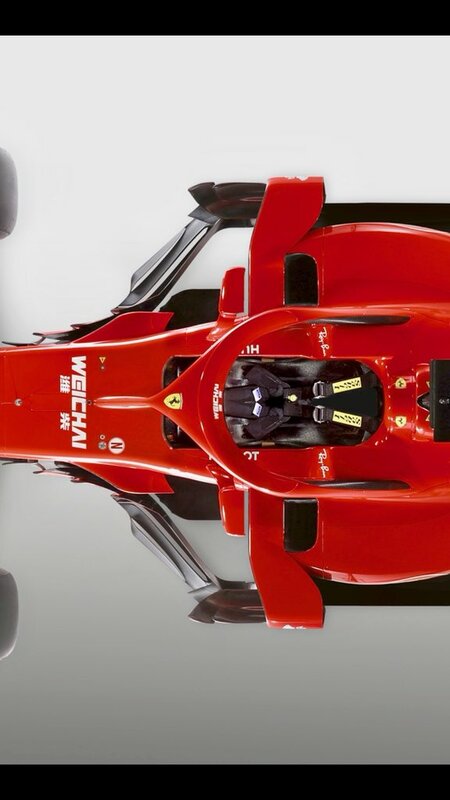 Those tiny air intakes on the sidepods are quite amazing. Looks so efficient compared to last year. Why don't we make them gold lol. Is it against the rules? I have nothing against being dominantly red like now, in fact i love it. However, are the grey shades really the best choice? I think red goes better with white or black and not grey. 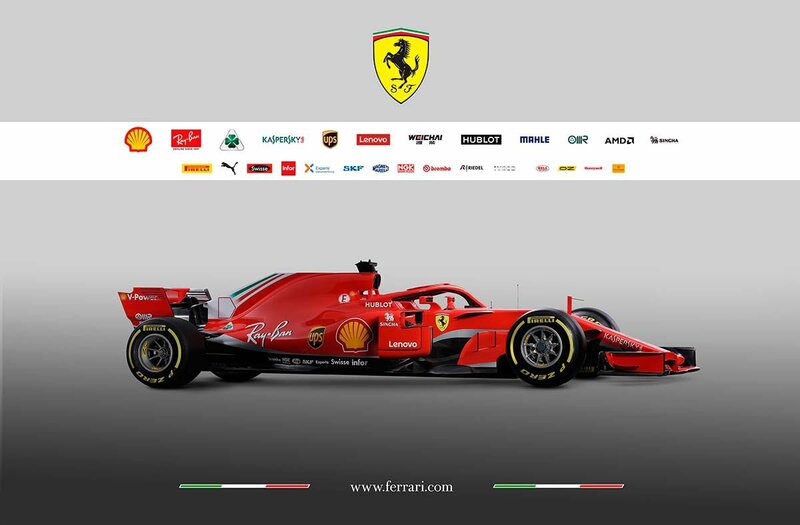 in all seriousness, the all RED looks really, really GOOD.....and the way they did the halo with red and black, it looks soooooo much thinner then the others....or maybe its' just me....ha, ha..